Qualitative spatial representation and reasoning has emerged as a major sub-field of AI in the past decade. An important research problem within the field is that of integrated reasoning about various spatial aspects such as distance, size, topology etc – an important application here being the qualitative simulation of physical processes. Approaches based on topology alone fail to provide an explicit account of other important aspects of spatial change thereby also not utilizing dynamically available information pertaining to them. Our work in this paper is based on the idea that a general theory of spatial simulation based on topological changes alone can be enriched by the inclusion of sub-theories relevant to other aspects of spatial change. We propose a general framework consisting of dynamic constraints for the enrichment of a topological theory of spatial changes. 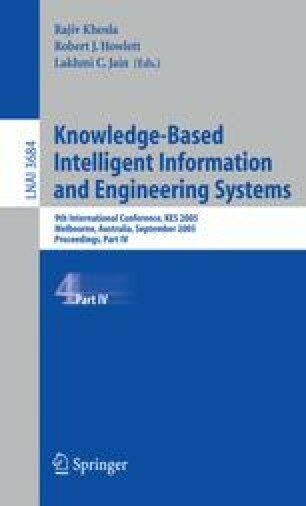 We propose the utilisation of such dynamic constraints for the incorporation of dynamically available information relevant to various aspects of space thereby making that aspect explicit in the theory. As an example of the proposed approach, we integrate dynamically available information pertaining to motion and size with the topological theory of RCC-8 using our framework of dynamic constraints.